As well as sightseeing independently there are plenty of interesting guided excursions to choose from including walking, horse riding and boat trips. The capital Torshavn is a surprisingly busy capital and is often a good base from which to explore. 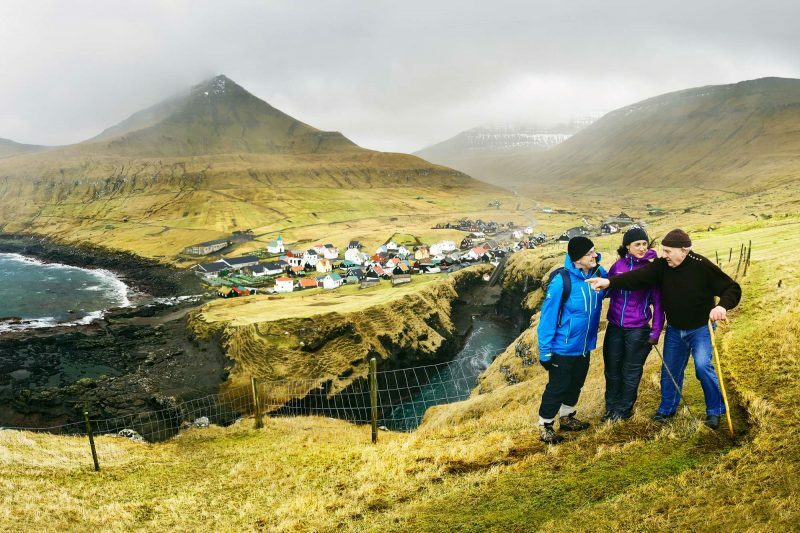 Here are our top 10 recommended experiences to do on your Faroe Islands holiday. Home to around 20,000 people, the capital of the Faroe Islands is built on a hillside wrapped around a harbour. Vikings arrived here around 900AD. 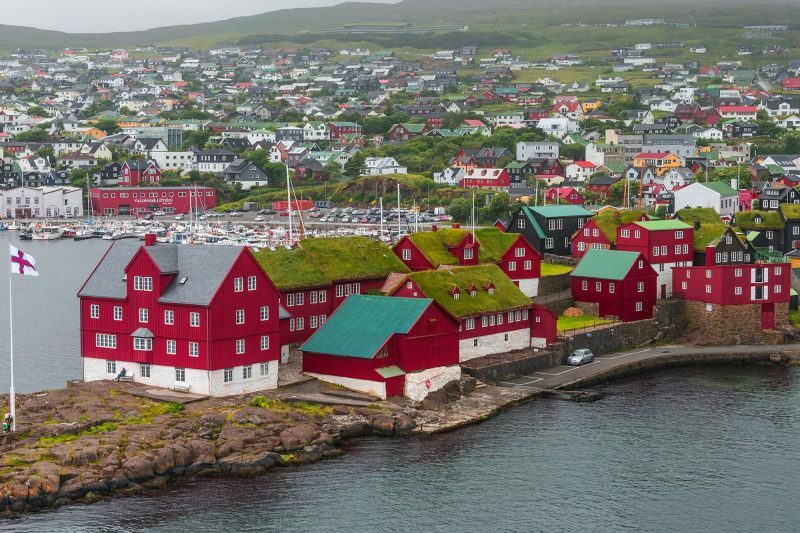 Home to the Faorese government, the red-painted wooden buildings with turf roofs that you can see along the waterfront are located on the same spot that the settlers held their yearly ting, or parliament. Enjoy coffee and cake at one of the Harbourside cafes, then explore the narrow lanes of the old town. Torshavn’s main shopping street, Niels Finsens gota is also within easy walking distance. Don’t miss the National Museum with its treasured medieval Kirkjubour benches dating from the 1400s. 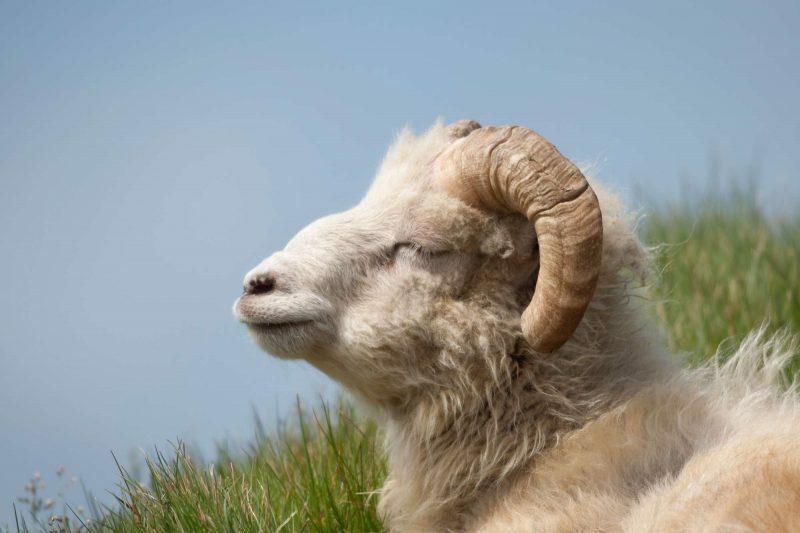 An exciting taste of the Faroe Islands, KOKS restaurant explores traditional culinary practises like drying, salting, smoking and fermenting to create modern delicacies using seasonal local produce. The unassuming restaurant, located in a turf-roof farmhouse near Lake Leynar, 30 minutes northwest of Torshavn, was awarded the Faroes’ first Michelin star in 2017. The tasting menu (paired with wines) might include delicacies such as Razorbill Wellington, fermented lamb tallow or raw mahogany clam sliced over kale purée with a kelp broth. 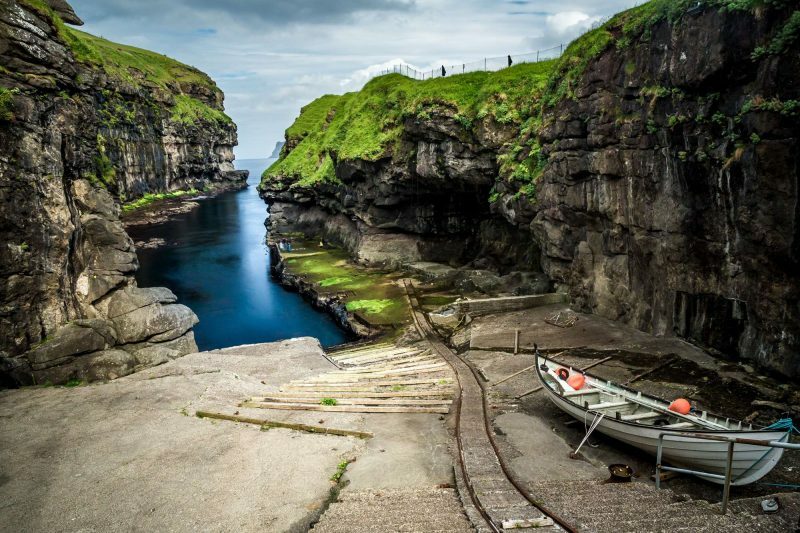 Operating from May to September, two-hour boat tours sail along the base of the dizzying, 700m-tall Vestmanna cliffs – home to a multitude of nesting seabirds, including puffin, guillemot, razorbill, fulmar and kittiwake. The cliffs are riddled with sea caves and deeply indented. If weather and sea conditions allow, you can get right into the lee of the cliffs until the sky is just a narrow slit overhead. 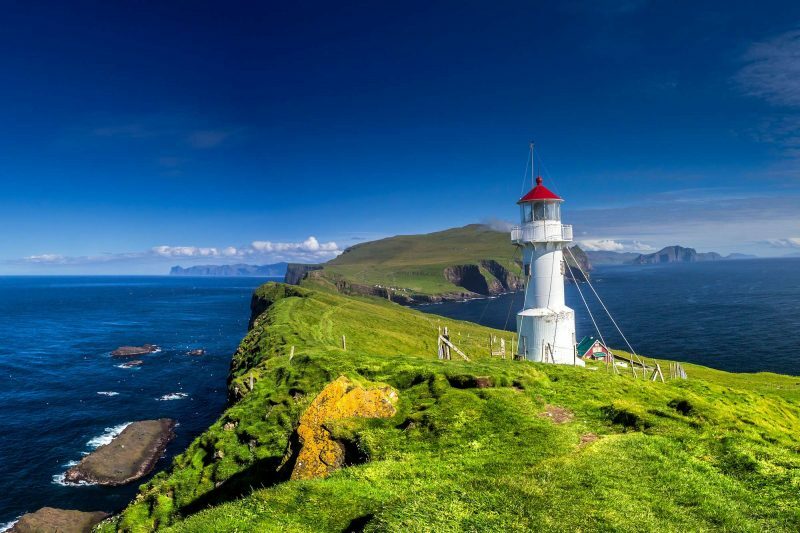 During summer, ferries run daily between Sorvagur (on Vagar) and Mykines, a stunning island in the western Faroes that is renowned for its puffins. The crossing takes about 45 minutes, offering spectacular views of the Drangarnir sea arch and tooth-shaped islet of Tindholmur. 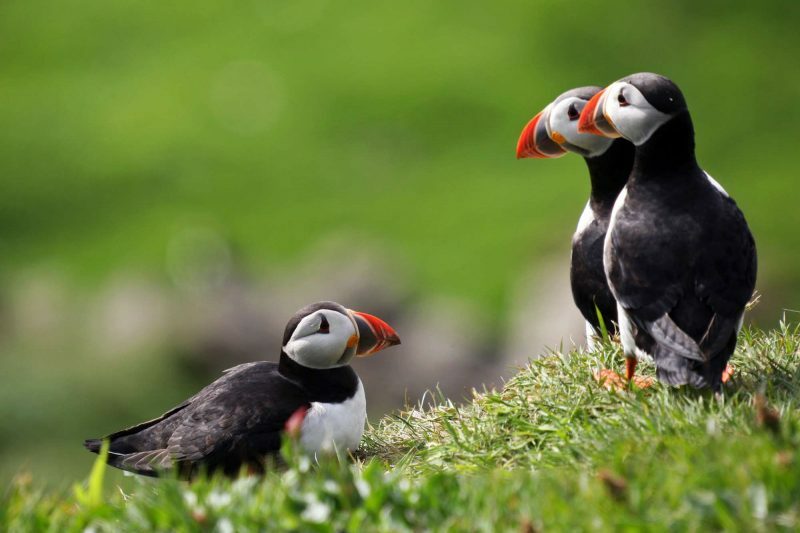 Once on Mykines, guided hikes run from the island’s tiny village up onto the grassy clifftops where you can watch puffins flying back and forth between the sea and their nesting burrows. There are plenty of other seabirds nesting on the cliff ledges, and you can also hike out to the lighthouse. 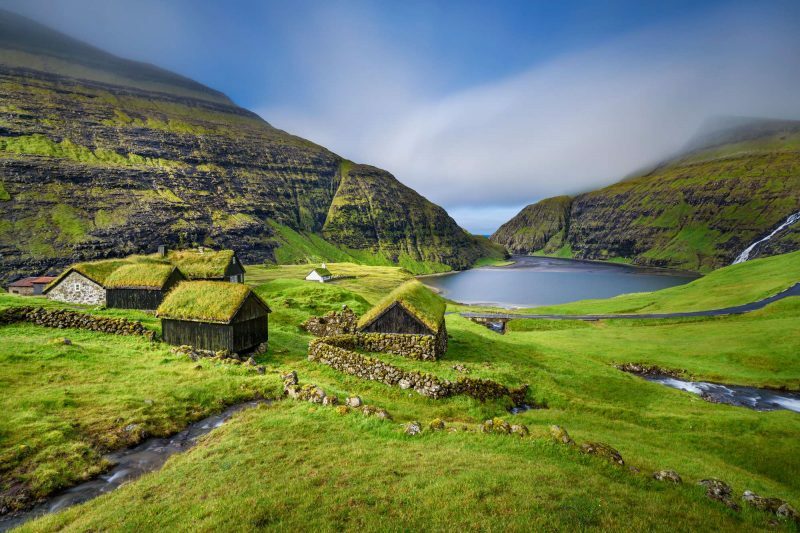 Less than a 20-minute drive from the airport, the houses of Gásadalur are sprinkled beneath mountains on the island of Vagar. The village faces west towards the neighbouring island of Mykines – a gorgeous view in itself – but most visitors have their eyes set on the nearby horsetail plume of Mulafossur waterfall. Pouring over cliffs straight into the sea, this charismatic, much-photographed cascade is one of the iconic sights of the Faroe Islands. Home to just 50 people, Gjogv is the northernmost village on the island of Eysturoy. A colourful cluster of timber, turf-roofed houses, the peaceful, remote community takes its name from the 200m-long sea-filled gorge that connects the ocean to the village. An hour’s drive from Torshavn, it’s the perfect spot both for self-drive visitors and those planning on hiking. As well as exploring the gorge, there are some superb trails in the surrounding mountains and coast, taking in the Faroes’ highest peaks (880m Slaettaratindur and 857m Grafelli) as well as views of the tallest sea stack in the islands (188m Bugvin). Rising to 880m, Slaettaratindur (meaning ‘flat summit’) is the tallest mountain in the Faroe Islands. On a clear day, you can see all 18 main islands in the archipelago. It’s a tradition for locals to climb the mountain on 21 June – the longest day – to watch the sun set and then rise again a few hours later. Choose from two routes to reach the summit: the trail from Gjogv is four hours, while the one from Eidisskard takes around an hour. Vikings called this place Foroyar – old Norse for Sheep Islands. They arrived from Norway in the 9th century and settled along the coast at what is now the capital Torshavn (derived from ‘Thor’ the Nordic God of War). The National Museum of the Faroe Islands displays artefacts from the Viking era, while at Kvivik (half an hour from Torshavn), you can see excavations of two Viking buildings – a hall and a barn. At Sandur on the island of Sandoy, archaeologists discovered a Viking burial ground, including a well-preserved skeleton of a woman with three beads of amber, a blue glass head and a knife. 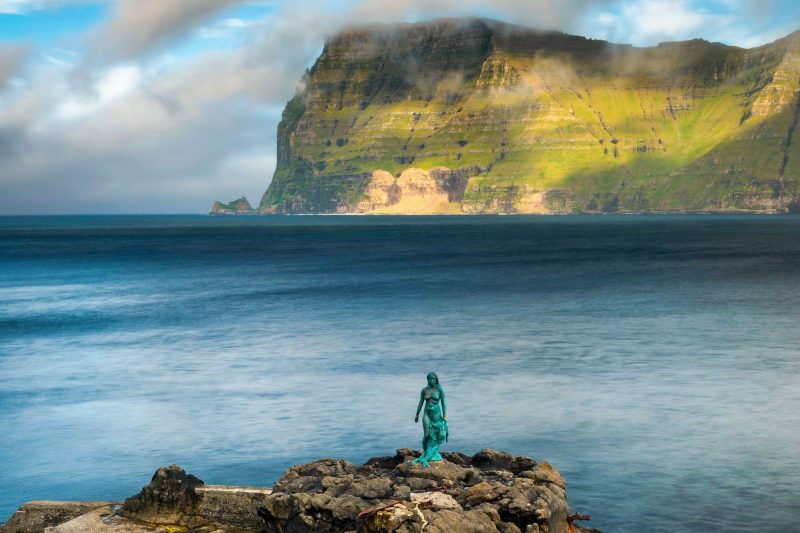 The six Northern Islands (Fugloy, Svinoy, Vidoy, Kalsoy, Kunoy and Bordoy) boast spectacular coastal and mountain scenery, as well as busy fishing communities and a vibrant culture with several summer festivals. 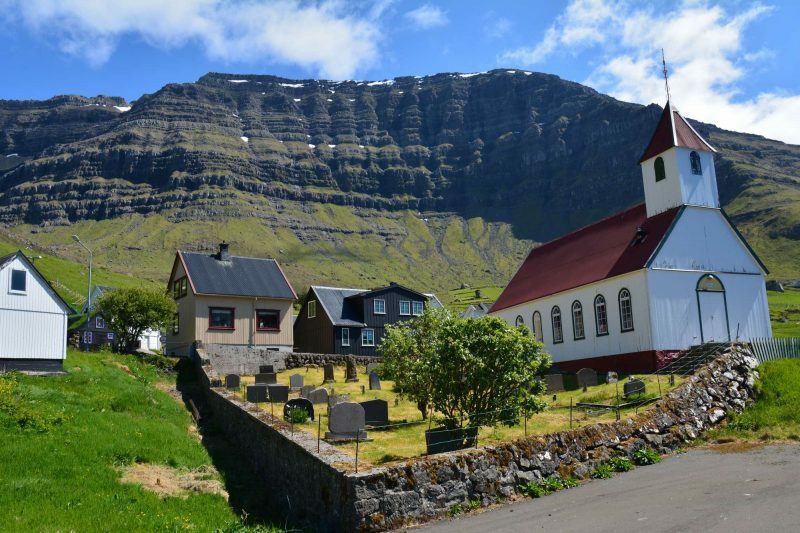 As well as hiking and birdwatching, highlights include taking the ferry from Hvannasund to the easternmost islands of Svinoy and Fugloy, following the old postal route beneath soaring sea cliffs. Feeling inspired and ready to start planning your trip? 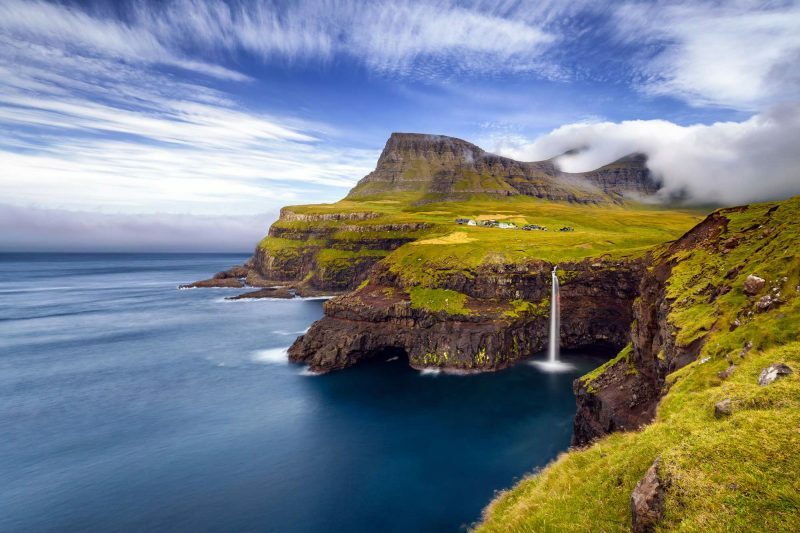 Search all our Faroe Island holidays to find the right one for you, call us or send an enquiry now and we can help you choose, or tailor-make your ideal itinerary.